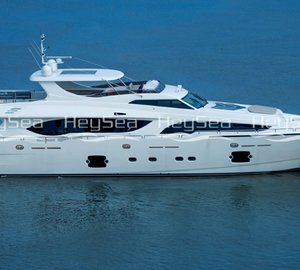 The latest 35-metre Heysea Atlantic 115 motor yacht, DOPAMINE, from Chinese shipyard Heysea is currently continuing on schedule at its facilities in Guangdong Province. From her keel laying in September 2017, work officially started in March 2018 on speculation and she was sold in June this year. Acting for the Owner, construction is currently being overseen by attorney Robert Allen along with Captain Allan Sasson and from Azure Naval Architects, surveyor Andreas Armas. Currently, the hull and superstructure have been joined with decks, bulwarks and bulkheads all in place. Final consent has been given for the electrical, plumbing and cabling layouts while the design for the interior layout and positioning of the A/V and navigation and communication systems is complete. 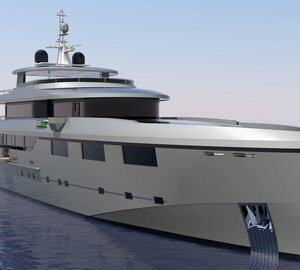 Once completed luxury yacht DOPAMINE will sport an exterior design by Unielle Yacht Design with an interior from H2 Yacht Design. 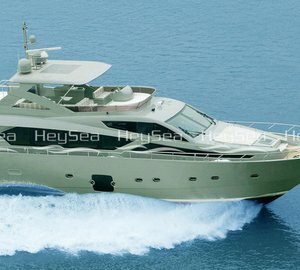 Her beam will measure 7.68m/25ft for grant guests plenty of room for alfresco and interior parties. 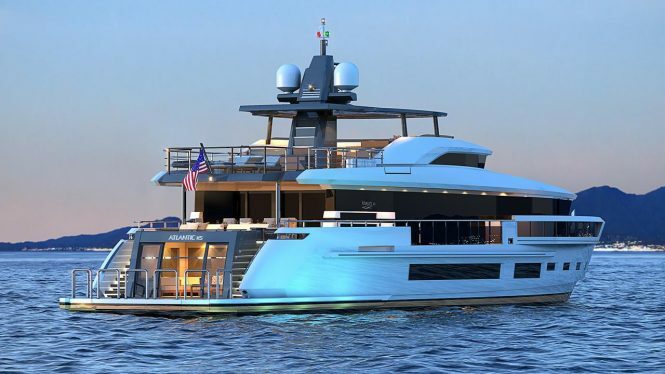 Her onboard features will include a beach club with a swim platform that can be converted into a gym, a custom infinity Jacuzzi on the flybridge and interiors boasting a ceiling height of 2.3m/7.5ft. Superyacht DOPAMINE is being built to RINA and MCA classifications and will sleep 12 guests in five en-suite staterooms, with the Master suite placed on the main deck forward for sweeping views of the surroundings. 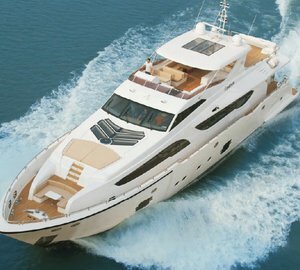 The rest of the accommodation will be placed on the lower deck along with the crew accommodation for five. Delivery is expected for the summer of 2019, where she will spend her first season cruising the Mediterranean. Please contact CharterWorld - the luxury yacht charter specialist - for more on superyacht news item "Superyacht Dopamine, the latest Heysea Atlantic 115 under construction".